Kyle Hope and Sunil Ambris have earned their maiden ODI call ups as they have been named in the 13-man West Indies' squad for the final three ODIs of the ongoing five-match series against India. The duo has replaced Jonathan Carter and Kesrick Williams in the squad. 28-year-old Hope is a top-order batsman and brother of Shai Hope while Sunil Ambris is a 24-year-old wicketkeeper-batsman. 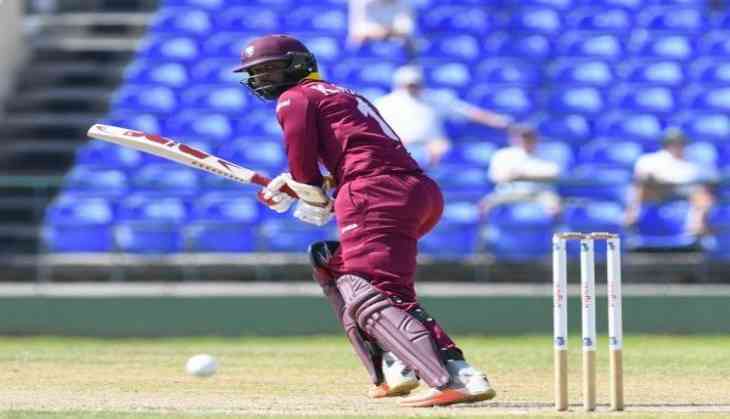 "Sunil Ambris and Kyle Hope are two very promising young batsmen who have been selected on the basis of strong performances in our competitions," said Courtney Browne, Cricket West Indies' chairman of selectors. "Kyle opened on our last A team one-day tour to Sri Lanka and had some very good performances. In addition, he also had a good showing opening the batting for the Trinidad & Tobago Red Force franchise in this year's PCL competition." "Sunil did well in our Regional Super50 One-Day tournament and also had a good showing in this year's PCL first-class tournament for Windward Islands Volcanoes, and therefore will fit within our middle order. They will be up against a good Indian team and they have an opportunity to show their skills and contribute to a stronger team performance," he added. The third ODI is scheduled to be held on Friday in Antigua at the Sir Vivian Richards Cricket Ground, which will also host the fourth game, before the teams head to Kingston for the fifth and final match and a one-off T20I. The Men in Blue lead the ongoing ODI series 1-0, having won the second game by 105-run win in Port of Spain after the first match ended in a washout. West Indies squad: Jason Holder (capt), Sunil Ambris, Devendra Bishoo, Roston Chase, Miguel Cummins, Kyle Hope, Shai Hope, Alzarri Joseph, Evin Lewis, Jason Mohammed, Ashley Nurse, Kieran Powell, Rovman Powell.